I know this sounds like such a morbid subject to discuss, but it's an issue that so many women face. My mum Sylvia was diagnosed with breast cancer on the 25 April 2014. She has been through the mill and back with hospital visits and operations. She is the reason for this post, she is the inspiration behind why I want to reiterate the importance of getting yourself checked. Like many people, I have been ignorant about how severe breast cancer really is, it isn't until someone you know and love is a sufferer that you open your eyes to how serious this is. Did you know that breast cancer is the most common cancer in the UK? 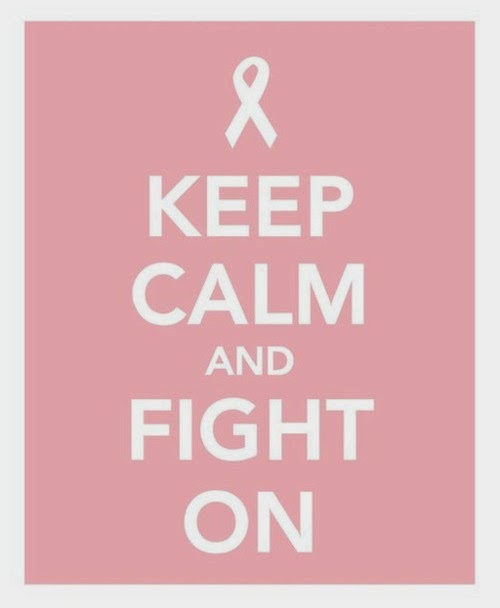 48,000 women get breast cancer in Britain each year. I wanted to share my mums story with you, to offer insight, to make you more aware and maybe to give you hope. My mum Sylvia, 48 years old and a sufferer of breast cancer. When she told me the news I was on holiday with my boyfriend Gary, we were just about to go on the ferry to head across to Dartmouth when I received a message to say that her tests came back positive and that she will need to go in for more scans and to talk surgery. My initial reaction like any daughters was to break down into tears, but somehow I held it together and managed to talk things through with her. The doctors said the first stage was for her to have a lumpectomy, this was to get rid of the mass that had grown, after the procedure the surgeon said the operation wasn't successful. The mass had spread. I can't even imagine how my mum felt, but if it was anything like how myself and the rest of my family felt.. we were devastated. You get this sense of hope when the first operation is over, that once this is done the cancer is gone and we can live happily ever after. But for my mum, this was just the beginning of her journey. After more biopsies, x-rays and check ups the hospital scheduled another surgery, this time round she was to have her lymph-notes under her left arm and in her breast removed, this caused serious pain and discomfort and also wasn't successful. In August, they scheduled her in for a mastectomy to remove the breast completely. They offered reconstruction surgery however, due to my mums heart they couldn't keep her under anaesthetic for a long period of time. So she was one of the many women who unfortunately cannot have reconstruction. She is now going through chemotherapy which is heartbreaking to see, she is losing her hair and looking more fragile than ever. However, she is on the mend and still fighting. I wanted to share my mums story with you all, I hope you find inspiration and find the will to fight. My mum is exceptional and I have never been more proud of her. My wife has been suffering from breast cancer which was confirmed to be stage four, the doctor told me there was little he could do since she wasn’t responding to treatment but a friend of mine came to our rescue by ordering this cannabis oil from Ekpiku which he said has been helping some patient fight against cancer of various types so we decided to give it a chance, so far my wife is improving perfectly very well and presently she can walk around the house all by herself. I felt its necessary i let others know who are suffering from this acute disease that once you have a good cannabis oil it can really give one a sound second chance of living. by chance if you happen to be in need of this cannabis oil you can contact Ekpiku who supplied I and my wife with this email: ekpikuspelhomeofgrace@gmail.com or ekpikuspelhomeofgrace@hotmail.com call +2348073673757 OR whatsapp him.